When I used to live at home with Madam Mummy and Big Sis, every weekend, Madam Mummy would walk down to the shops and buy us breakfast. She would then proceed to clean the house from top to bottom starting with laundry. Then she would shout not once, but several times to Big Sis and I to wake up and help out. Those were the blissful days, where the only responsibility I had was to not disappoint mum with my school grades and be a dutiful child (*cough*). 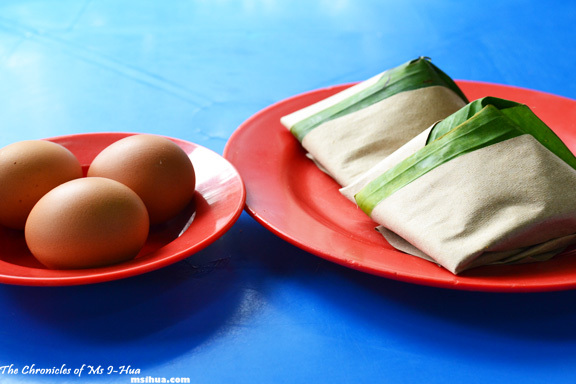 Breakfast would usually consists of a typical Malaysian breakfast. Nasi Lemak which pretty much translates to fat rice. The rice is cooked in a steamer with coconut milk, thereby allowing the rich fragrant and aroma to weave itself into each and every grain. Sometimes, pandan (screwpine) leaves are used as well to give it an added dimension. 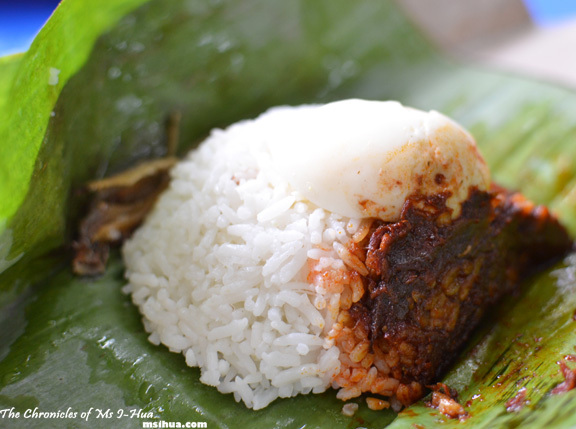 There are a variety of how one can enjoy a Nasi Lemak meal. You can have it biasa (normal) which usually only comes with sambal (chilli-shrimp paste), ikan bilis (deep fried anchovies), salted peanuts and half an egg or a tiny piece of omelette. Malaysians would eat this for breakfast, lunch, dinner, supper, and even as snacks in between meal times. Sometimes, if you are feeling a tad more hungry, you can add meat and veggies to your Nasi Lemak dish. Ayam goreng (fried chicken) and Rendang are common additions to Nasi Lemak. 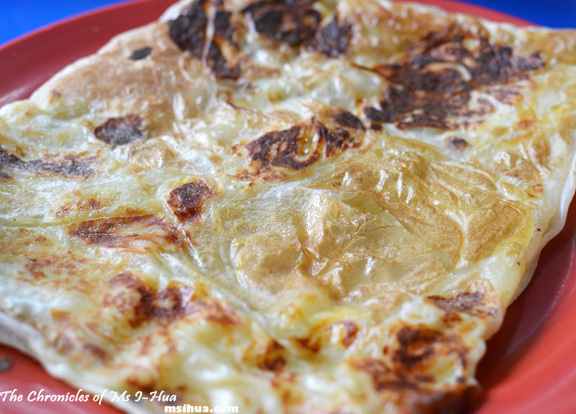 Another favourite Malaysian breakfast of mine (again, you can get this at all hours of the day) is the humble Roti Canai. It probably originated from Chennai, India, hence the name. It’s a popular local staple and will never grow old. 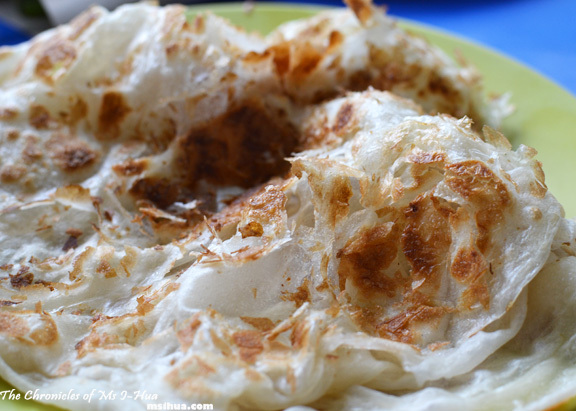 Singaporeans call their version Roti Prata and to the rest of Australia, it’s simply roti. 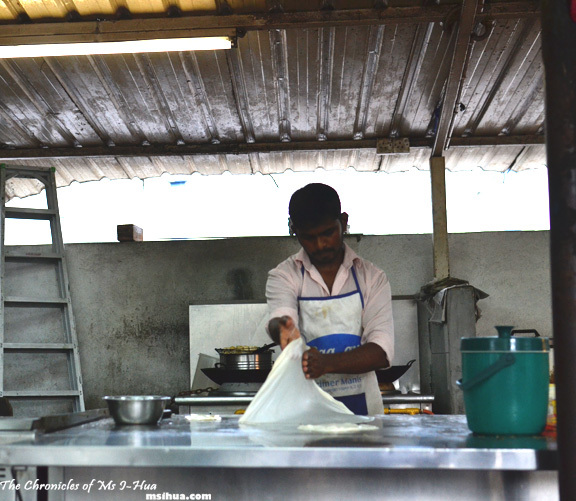 Tossed on high heat with a little ghee, the Roti Canai can be eaten on its own, with cheese, with brown sugar, with curry, with meats and veggies, with anything really. It can be served as any meal, and as either a savoury or sweet. You know you have a good Roti Canai when you get served a garing version. Crispy and crunchy, not soggy and flat. 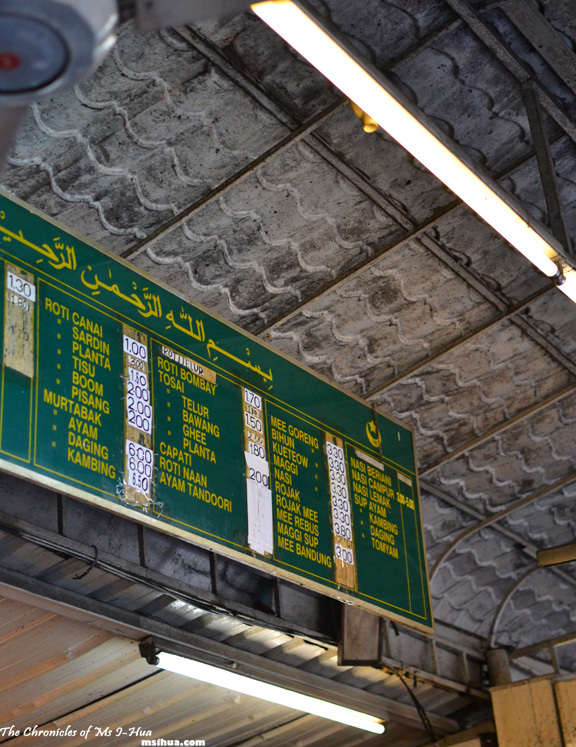 Of course, there are a myriad of other famous Malaysian meals that one can have for breakfast, usually in hawker stalls. There aren’t really strict rules about having one type of food just for breakfast, lunch or dinner as you would in the Western world. You typically wouldn’t eat bacon and eggs or cereal and oats for lunch or dinner, but with Malaysian cuisine, it’s versatile and dynamic and can be eaten at any meal times, at all odd hours of the day. This includes satay, chicken rice, laksa, noodle soups, curries, popiah (wraps), chee cheong fun (another type of rice noodle dish), char kway teow, cakes, kuihs and so forth. You name it, we’ll eat it morning, afternoon and night. So tell me my friends, what do you normally have for breakfast? I love nasi lemak and roti canai, became addicted to both when me and my fiance Si travelled around Malaysia! I’ve tried recreating roti canai at home pretty successfully but haven’t attempted nasi lemak yet, I’ll have to though ‘cos seeing your pics has made my mouth water! 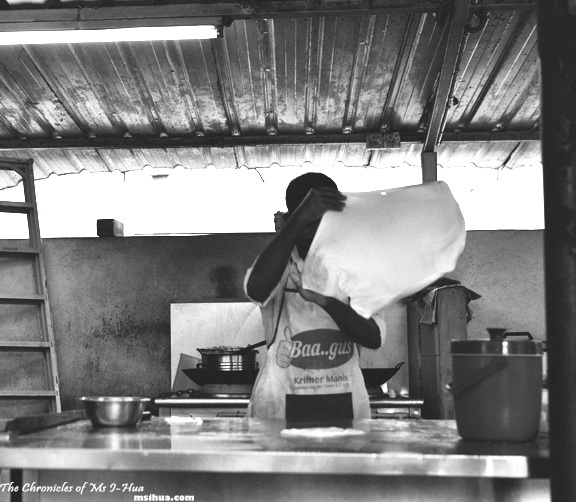 Murtabak was another BIG favourite of ours, particularly beef. I’ve tried recreating that at home too but couldn’t get the thin, bread/pastry wrapper right. Not suprising after seeing how those guys make it – what an art! It is such an art 🙂 I love lamb murtabak! But I would definitely try these creations if I was travelling (with you… one day… yes…), though ‘d definitely be searching out kaya toast first! eat cake and nothing else 😛 I hardly see you eat anything except chocolates!!!! Love this post 🙂 Breakfast is my favourite meal of the day! Winston recently posted…Cheers to 2012! I love Nyonya Laksa as well.. I eat mostly anything really for breakfast! *heart* Nasi Lemak! It’s especially lovely when they’re made into such nice tiny packages! The closest approximation to this petite Malaysian version I can find in Melbourne is at Sambal Malaysia near Victoria x Lygon. Enjoy Tao Tao today! I’m blogging abt it now, hope you get a table by the (bright) window. We didn’t… hahahah!! Oooo… Nah we weren’t near any windows. Lighting was still good though! I loooove Nasi Lemak, but more so for lunch or dinner rather than breakfast. Can’t handle that much oil and chilli first thing in the morning! I’m such a westerner when it comes to breakfast, milk and museli or a bowl of yoghurt please! OMG this is why I love Msia 😉 Imagine the things we’d miss!! *growl* darn.. gotta get something to eat.. Yeah!! Are you back here already? I’m gearing up for an all round eating fest in 10 days! Thank goodness Melburnians are so lucky! LOL.. I love seeing what other people eat too!